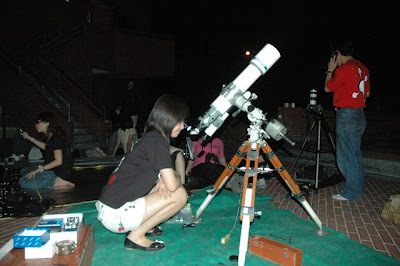 Astronomy Lover: Comet of Taiwan! Being a Taiwanese, you have to know this: Comet Lulin! Comet Lulin was discovered by Taiwanese. You may think: “Okay… now I know that this comet was discovered by Taiwanese… so what?” If I tell you that this is the FIRST Taiwan’s comet and named by Taiwan’s observatory-- Lulin, you may be very excited! 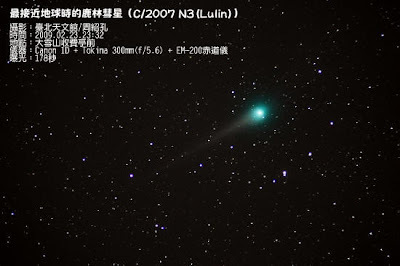 Comet Lulin was discovered on July, 11, 2007 by a Chi-Sheng Lin (Institute of Astronomy, National Central University, Taiwan) and Quanzhi Ye (Sun Yat-sen University, Guangzhou, China). (It was a pity not Taiwan’s Sun Yat-Sen University! ) 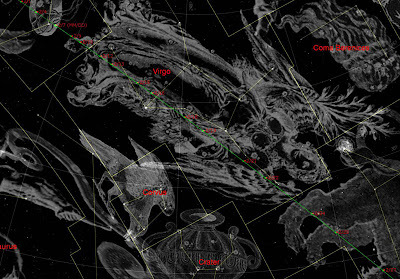 And the International Astronomical Union assigned the comet’s number to “C/2007 N3” and named by the observatory which discovered it—Lulin. 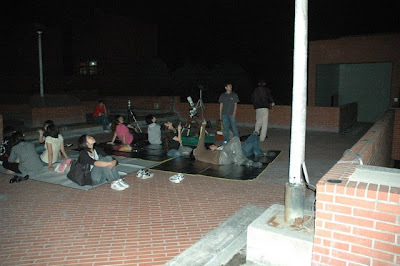 Comet Lulin is the first comet that discovered by Taiwan. That is the reason why I want to introduce it. You may come out this question. “C” means "a non-periodic comet"
You may ask further: Why “N” means “early July”? They use 26 English alphabets except “I” and ”Z” these two letters are similar to “1” and “2” to named the comets. Without “I” and “Z”, it only remains 24 letters. And then divide 12 months into 24 parts. Then, “A” means “early January”; “B” means “latter January”… and so forth. Comet Lulin is a comet with extremely long period and it is about twenty-eight million years. That means, if you missed this chance to take a look of this beautiful blue-green comet, you would not see again in your lifetime! And if you want to observe this comet right now, I have to tell you that you missed it… The best term to greet it was January to April, 2009.
this is actually my first time visiting ur blog. well, i hav to say it's really amazing. it looks so professional! no wonder u are the leader of the astronomy club! haven't come to your blog for a long time. it is really nice to see you here with all the amazing pictures and videos. i really learned alot form your blog. That night was really an amazing night. 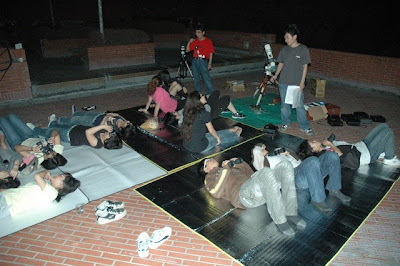 Every time when I told to my friends about that night, they were all so envied us that we have such a worful night!